Simply the best quality. 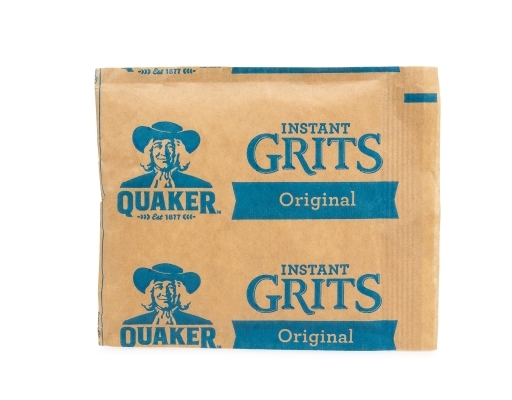 Quaker has set the standard in grits for over 100 years. 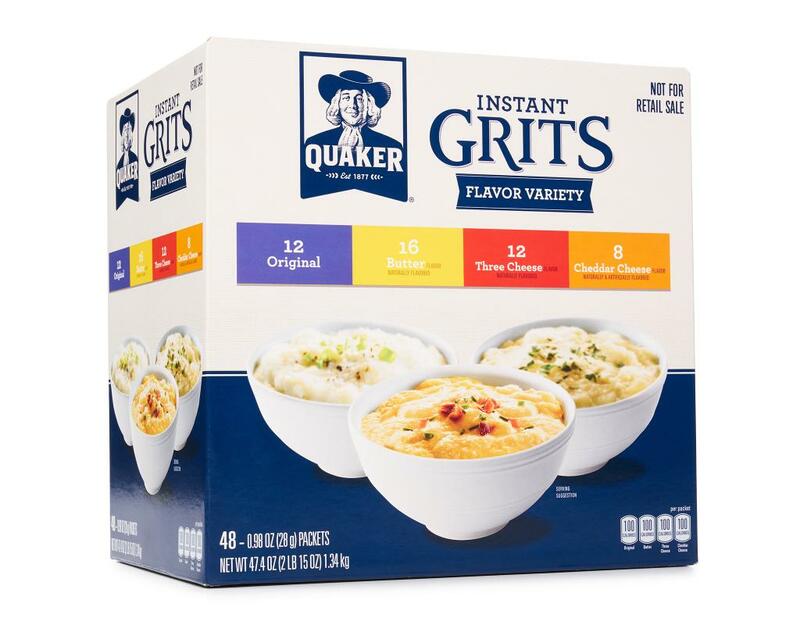 Quaker Original Instant Grits can help your family continue the tradition with easy-to-prepare, smooth and creamy grits. It's only natural. Quaker instant grits--always your family's favorite. 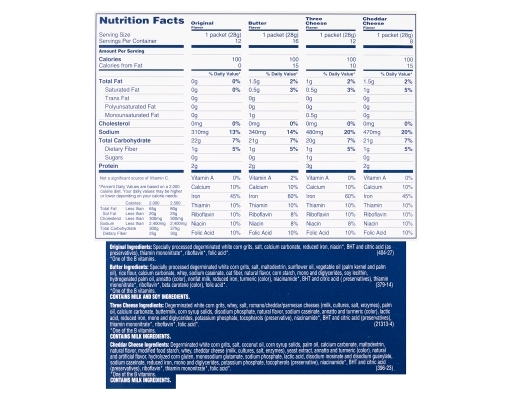 Quaker means wholesome nutrition. Quaker instant grits are a good source of calcium and iron, and cholesterol free. • 12 Original - Got a minute? 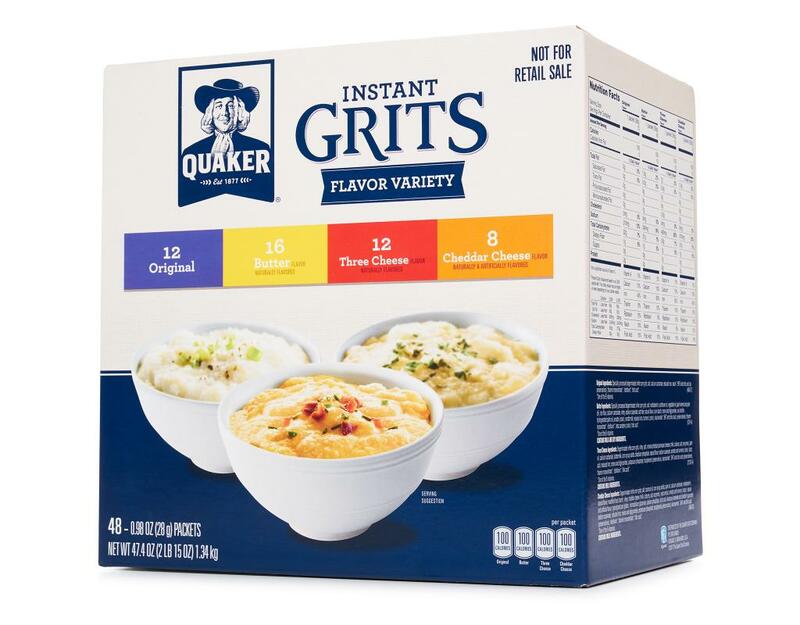 Get ready for tender, creamy grits. Quaker Instant Grits are great for breakfast, or as a tempting side dish to any meal. Grits don't just taste good – they're good for you too. 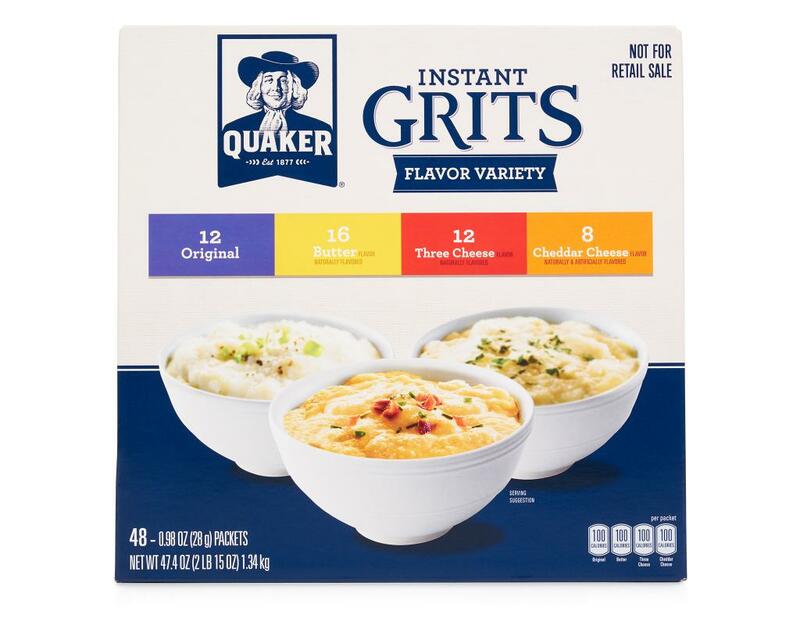 Cook 'em up in a minute and savor the original flavor you've grown to love. A good source of calcium and iron. 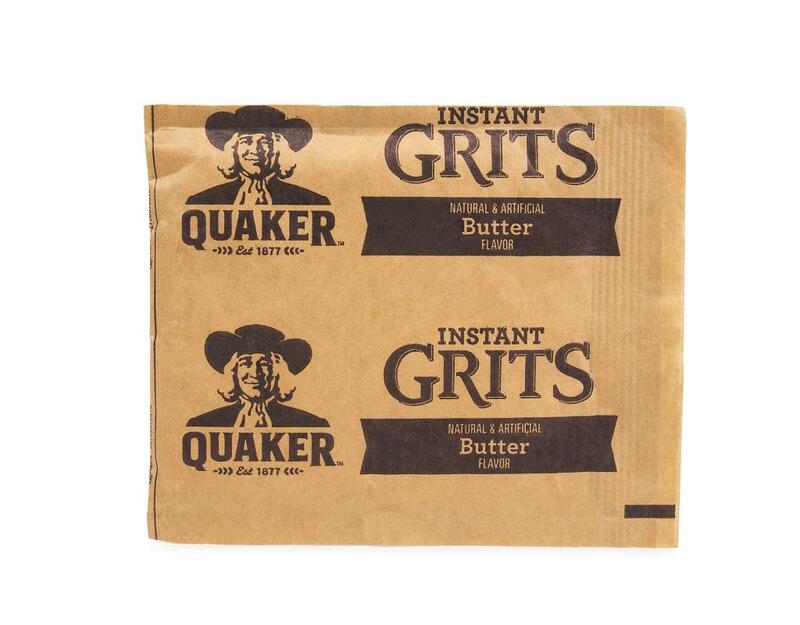 • 16 Butter - Gotta have grits? Get smooth, buttery flavor, steaming hot andright at home. 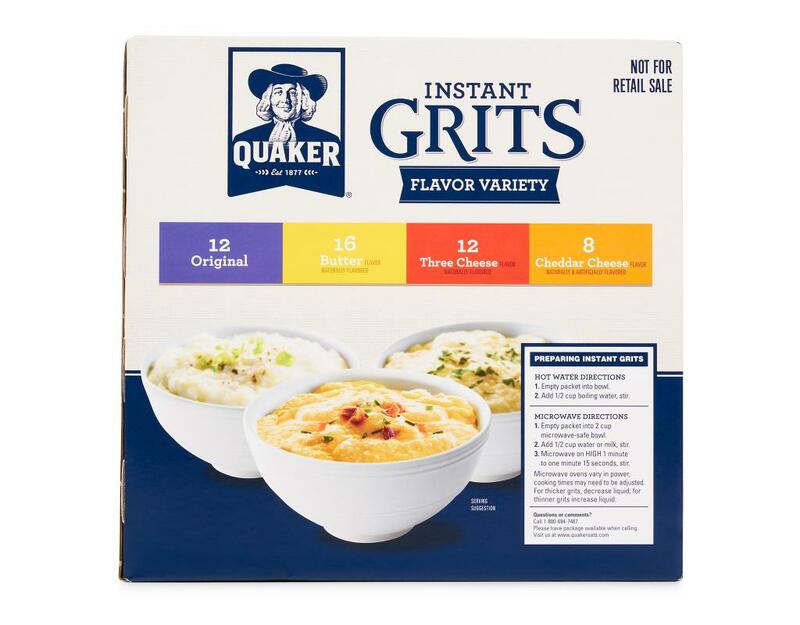 Quaker Quick Grits have been a breakfast favorite – and aside dish sensation – for generations. They taste so good. And Quaker Quick Grits cook in just 5 minutes, so you'll savor the flavor in a flash. Can be used as a tasty ingredient to many recipes. Excellent source of iron and good source of calcium. 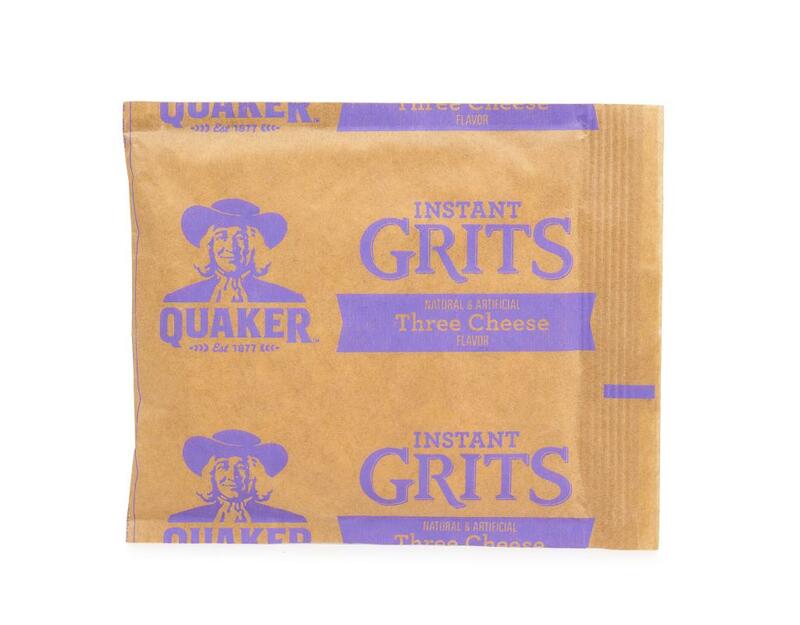 • 12 Three Cheese - Savory American Cheese makes Quaker Instant Grits the perfect addition to your favorite meal. They're delicious and ideal for your action-packed lifestyle—it only takes a minute to have them on the table. Excellent source of iron and good source of calcium. • 8 Cheddar Cheese - Imagine moist, mouth-watering grits, blended with cheddar cheese flavor. 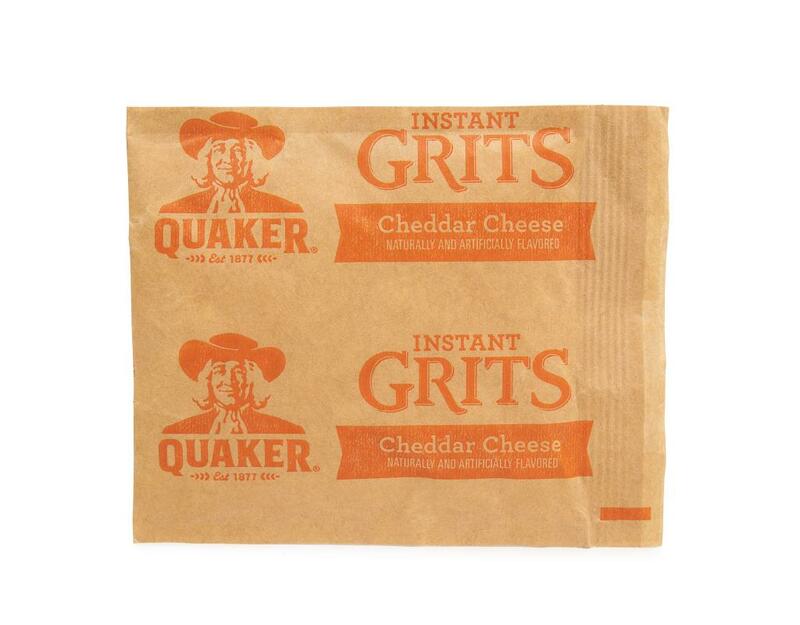 Make it real in just a minute with Quaker Instant Grits. They're delicious during breakfast, or alongside your favorite meal. Grits taste good – and they're good for you. So savor the cheddar cheese flavor you've grown up loving. Excellent source of iron and good source of calcium.